The Epitome of the STUDENT-athlete: It’s the RAK!! 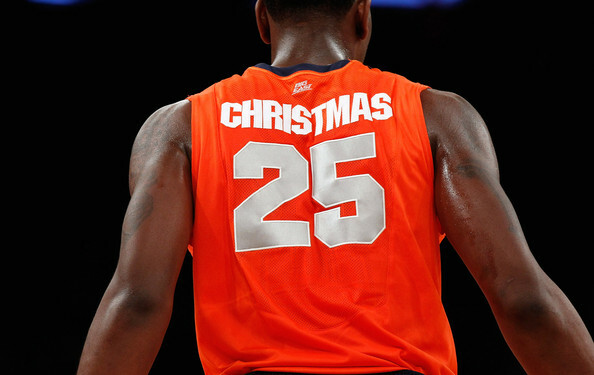 Black collegiate student-athletes should strive to be like Syracuse Superstar Rakeem Christmas. He has blazed a trail that should be followed. He represents all that “could be and should be” in collegiate athletics. For the most part, collegiate Football and Basketball fans either don’t know or don’t care about the dismal academic outcomes for black male student-athletes. They acknowledge and loudly applaud their performances in jam-packed stadiums and arenas while ignoring the cold hard fact that half of them will never earn a degree. Within ivory towers across the country, there’s a largely unspoken acceptance among administrators and faculty of black athletes as unconscious accomplices in a naked race for exponentially expanding athletic revenues. To a considerable extent, black male student-athletes are not viewed as worthy members of learning communities within academic institutions. They are modern-day gladiators, merely entertainers for the rest of the campus community and well-heeled alums. Black men among the top 25 BCS schools represent 3 percent of their student bodies but 60 percent of the football players. The performances of 3 percent in football and basketball contests generate hundreds of millions, perhaps even, billions of dollars for NCAA and their respective schools on an annual basis. These revenue streams have evolved into veritable “Nile rivers” of cash. Let’s take just a cursory glance at the top lines for NCAA football and basketball. On the gridiron, in 2014, the ACC, Big 12, Big Ten, Pac-12 and SEC each drew a baseline amount of approximately $50 million in the first year of a 12-year contract. The other five FBS-level leagues will split $75 million. The “BIG” football schools are in the midst of an unprecedented windfall that’s more than five times greater than their combined payday in 2013. 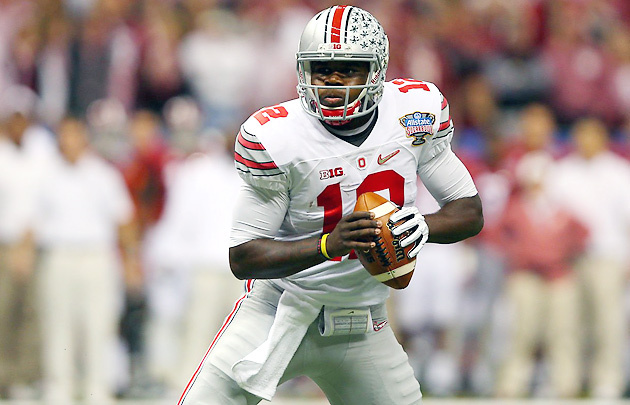 According to Bill Hancock, the College Football Playoff’s executive director, “It’s good for everybody… There’s more money for everybody.” One cannot dispute his assertions, the BCS schools and a few other major conferences have put forth proposals to provide athletes with stipends, to allow athletes to borrow money to obtain injury insurance and to prohibit schools from pulling scholarships from athletes due to injury or poor performance. They can certainly afford to make these concessions to the players. USA TODAY Sports has reported that BCS football playoff television revenue will average at least $470 million annually over the life of the contract. Ticket and merchandising sales and sponsorship deals could add $40-50 million annually, on average. The NCAA makes even more marketing and selling the performances of it’s basketball players. It is very likely that within the next 48 months, the NCAA will surpass a billion dollars in annual revenue. The exponential revenue growth is a direct result of lucrative television rights for its men’s basketball tournament. The NCAA cashes in every year during “March Madness.” It wasn’t always this way. As recently as 1973, when the first wave of Black student-athletes were recruited to all-white Jim Crow athletic departments across the Southern part of the country, TV rights for the NCAA tournament generated only about $1 million. Plainly stated, segregated collegiate sports weren’t generating the enormous revenues we see today. Let’s recognize that it wasn’t until June 9, 1969 that the University of Kentucky signed it’s first Black basketball player. 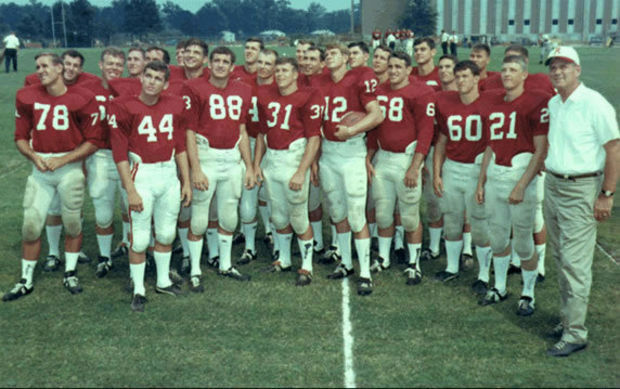 In 1971, Alabama signed it’s first Black football player. Over the next decade, Black student-athletes became de rigueur in the American south. The influx of Black student-athletes into major college sports was accompanied by an explosion in revenues. The performances of Black student-athletes have become extremely marketable and valuable. Last year, Men’s basketball tournament multimedia rights accounted for more than $680 million of the NCAA’s nearly $913 million in total revenue. So… How have Black student-athletes fared? What are they getting out of the deal? Have young Black student-athletes been entering “Faustian Bargains” since the early 1970’s? Have they abandoned their commitment to academic achievement in order to play on the largest stage? Are they modern day equivalents to Roman gladiators? ~ Across four cohorts, 50.2% of black male student-athletes graduated within six years, compared to 66.9% of student/athletes overall, 72.8% of undergraduate students overall, and 55.5% of black undergraduate men overall. ~ 96.1% of these NCAA Division I colleges and universities graduated black male student-athletes at rates lower than student-athletes overall. ~ 97.4% of these institutions graduated black male student-athletes at rates lower than undergraduate students overall. By any reasonable measure, Black male student-athletes are struggling. Plainly stated, half of them do not graduate within six years. At nearly every D1 school they graduate at rates lower than student-athletes overall. Moreover, they graduate at rates lower than undergraduate students overall. Who will provide the example? Where is our Beacon on the Hill? The numbers are beyond impressive. 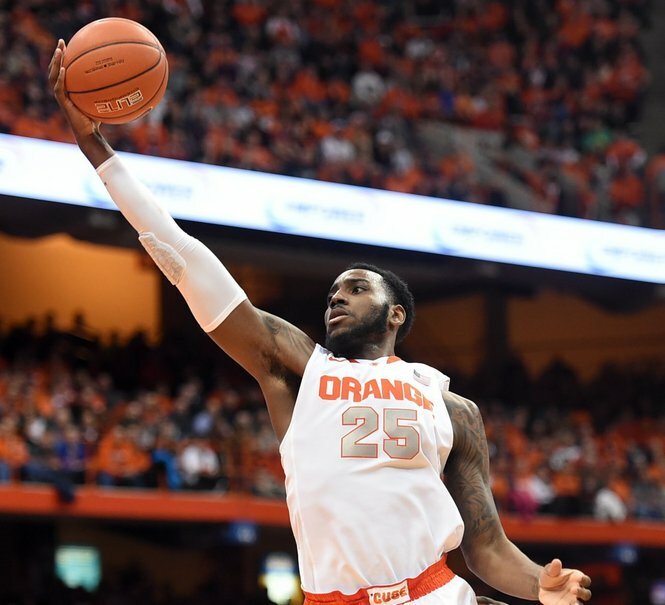 Syracuse’s Rakeem Christmas is averaging 18.4 ppg and 9.0 rpg in an astounding senior campaign. One of the favorites for ACC Player of the Year and a sure fire ALL-American, Christmas dropped 35 and 9 on Wake Forest. In his very next game he put up 21 and 10 against Clemson. Miami was victimized for 23 and 8, while he gave North Carolina 22 and 12. 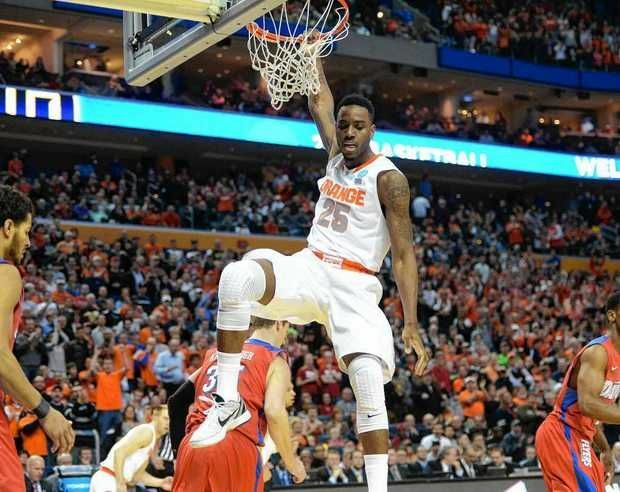 Rakeem is, without question, the most productive BIG in college basketball this season. However, the greatest numbers he has put up over the past year were 120 and 3. 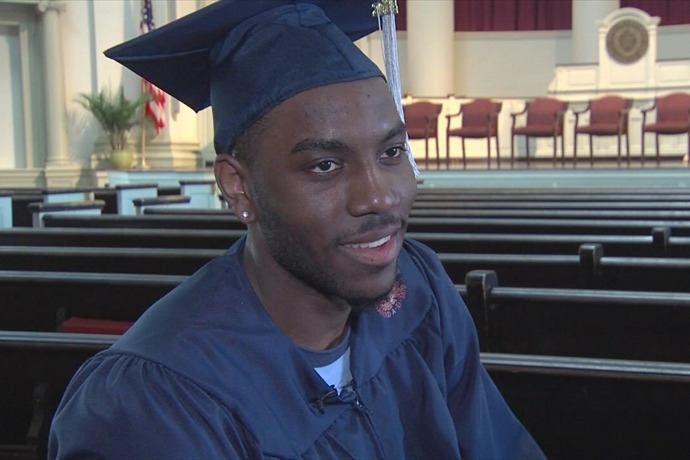 Defying the odds and refuting stereotypes, Rakeem Christmas graduated from Syracuse University – earning 120 credits of coursework – in just 3 years. The Syracuse graduation requirements are very clear. Students must earn a minimum of 120 credits of coursework for the B.A. or B.S. degree. For all students enrolling in the College of Arts and Sciences, 30 of the 120 credits must be taken in upper-division courses. Every major leading to the bachelor’s degree in the College of Arts and Sciences must include at least 18 credits of upper-division work (courses numbered 300 and above) in the field of study. 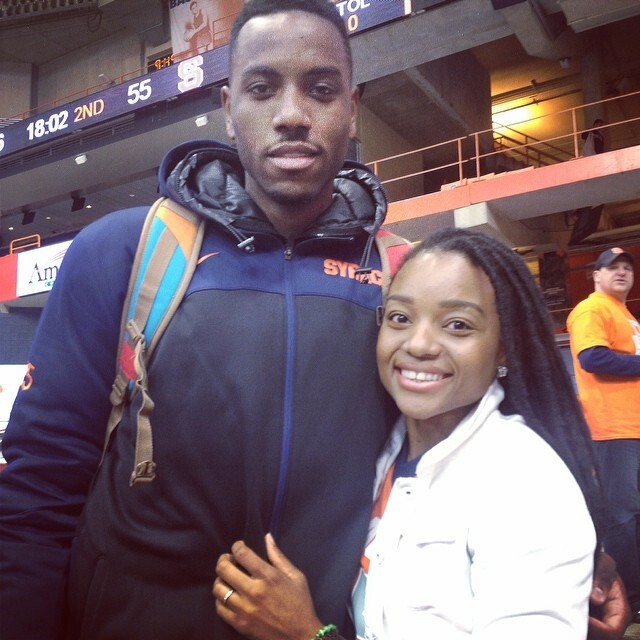 In an era where half of Black male student-athletes fail to graduate within 6 years, Rakeem graduated in 3. What was the key to his academic success? Is there a secret that can be passed on to other Black student-athletes in high profile D1 programs? Everyone familiar with the demands of collegiate sports is familiar with the obstacles. There are probably a minimum of 15-20 hours practice each week. If you want to get better, you have to exceed the mandatory time in the weight room. In the hyper-competitive ACC there are countless hours spent in meetings and studying film. After all, it is widely considered the premier conference in all of college basketball. Then after all of that, you have to travel up and down the East Coast to play the games. This demanding schedule takes you away from the classroom. You invariably miss lectures and seminars. Raised primarily by his Aunt, Amira Hamid, Rakeem has internalized her lessons on the importance of developing and refining his ability to prioritize and compartmentalize aspect of his life. He admits that road games can be a challenge. Hamid has instilled a strong West Indian value system in Rakeem. Oh…… Rak’s gotten it done…. His freshman year Syracuse went 34-3 and reached the Elite Eight. As a sophomore he helped the Orange to a 30-10 record and a Final Four Appearance. During his junior year, the Orange were 28-6 and made it to the Third Round of the NCAA Tournament. The team has been incredibly successful. Average attendance in the Carrier Dome was 26,253 in 2014. Most importantly, Rakeem came out of the chamber early. His degree was firmly in hand after 3 seasons. He is an example for all Black collegiate student-athletes that come after him. He’s committed to helping younger kids understand the importance of focusing and setting priorities. A McDonald’s All-American in high school, he struggled early trying to find a niche on supremely talented Syracuse squads. Unlike the 604 Men’s Basketball student-athletes that transferred in 2014, Rakeem buckled down, hit the books and worked on his craft. He has reaped the benefits of studying as he makes his way through a Master’s program. Syracuse is reaping the benefits of his perseverance as he slays ACC opponents night in and night out. A classic win-win proposition… That’s exactly how it should be for every young Black student-athlete participating in collegiate athletics.